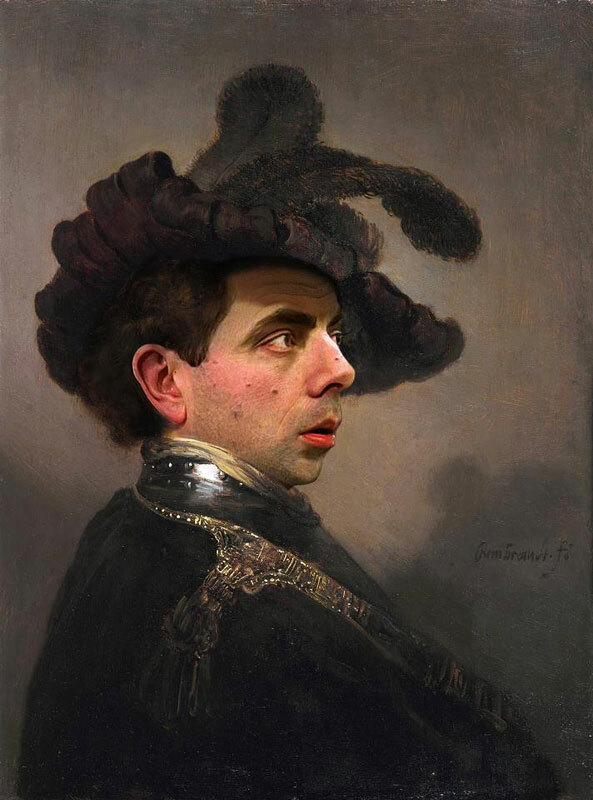 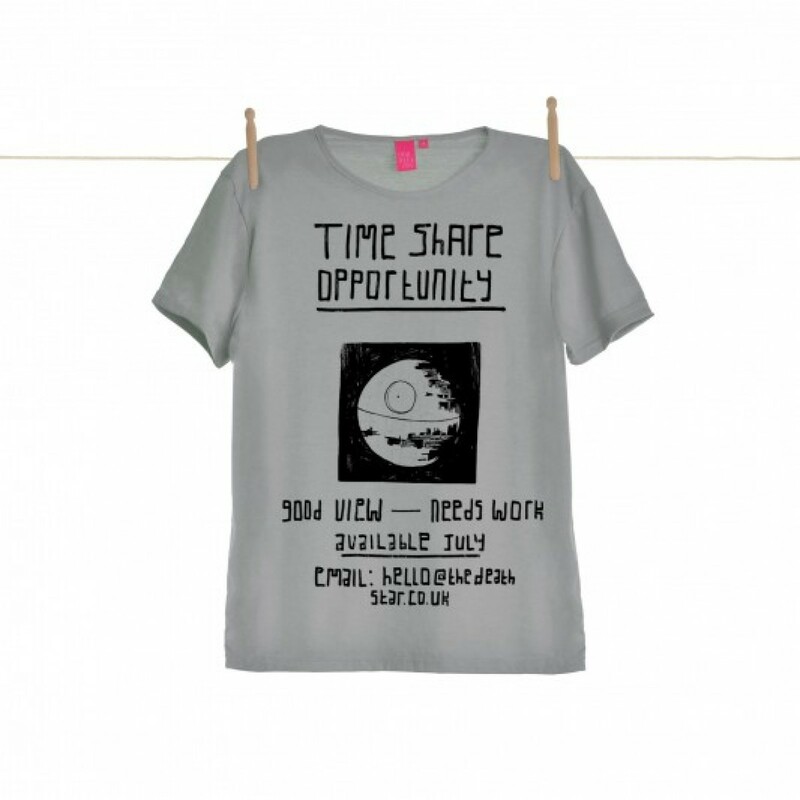 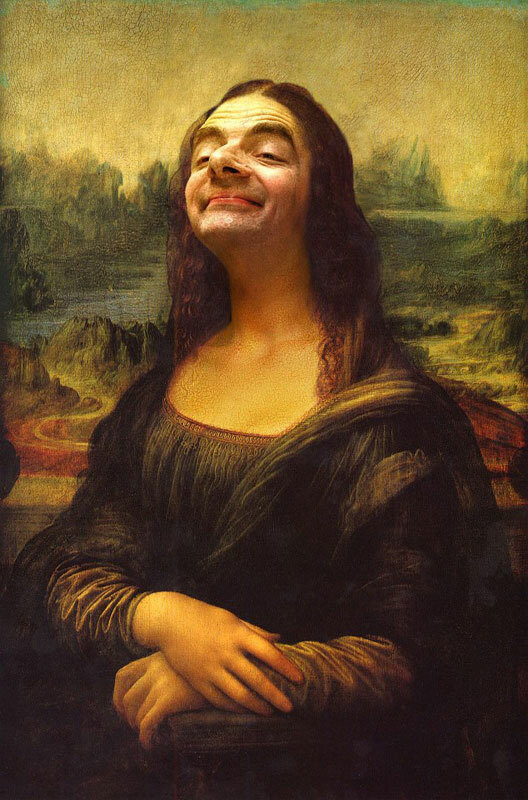 I think it’s fair to say that Rodney Pike got a little obsessed with Mr Bean and why on earth not? 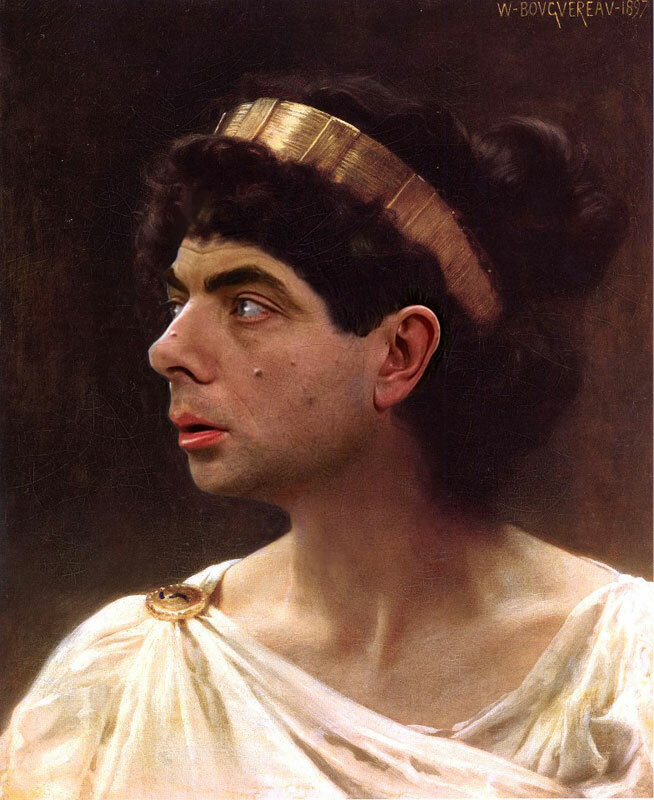 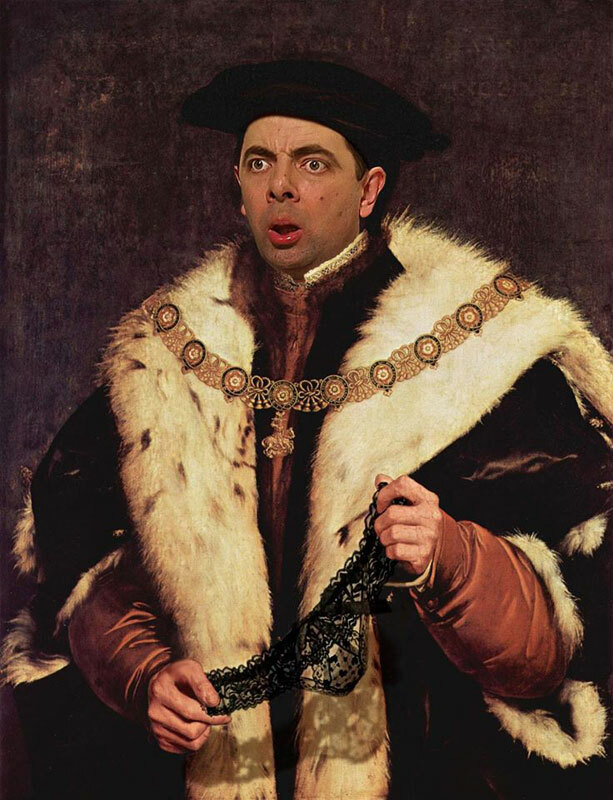 Rowan Atkinson’s character is a legend, his performance at the 2012 Olympics confirmed him as an international celebrity (who knew). 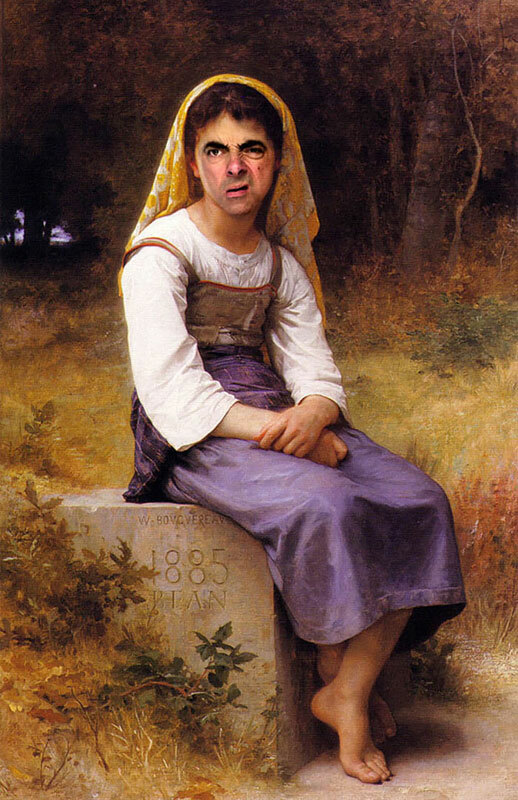 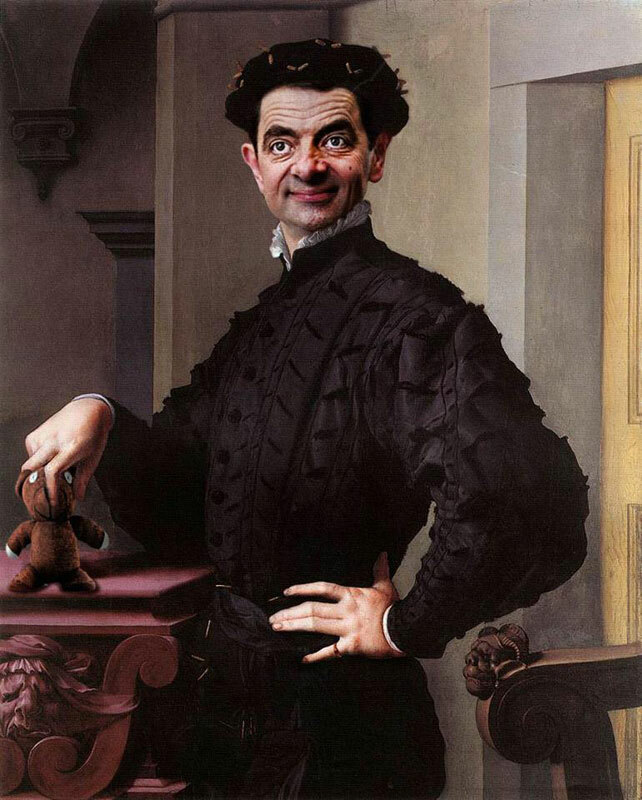 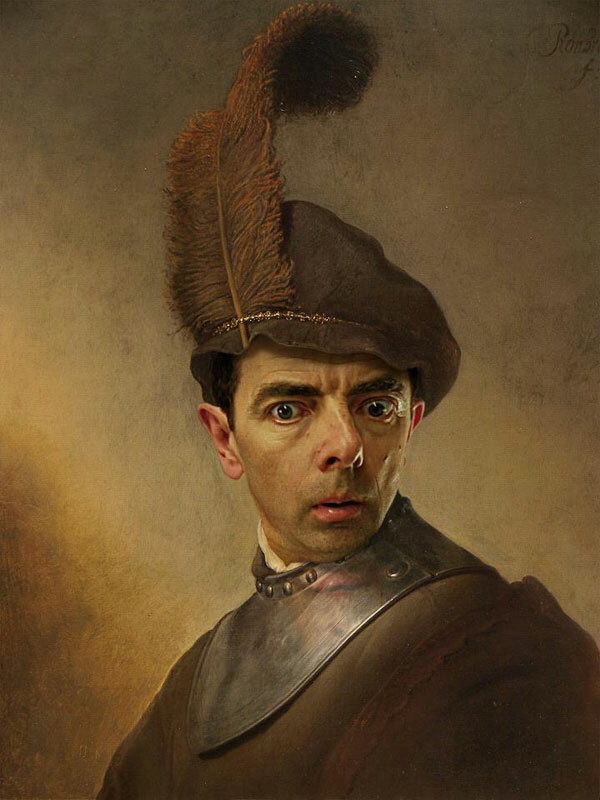 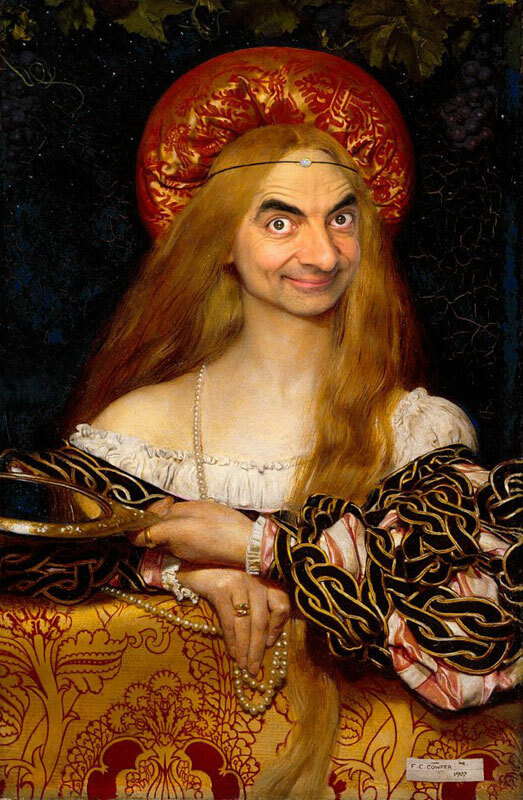 Rodney has delightfully photoshopped his face into several famous paintings and the results are amazing. 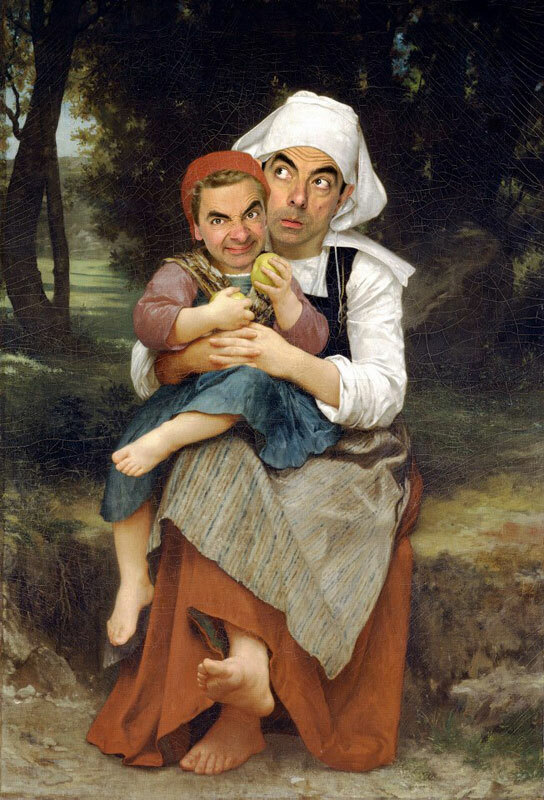 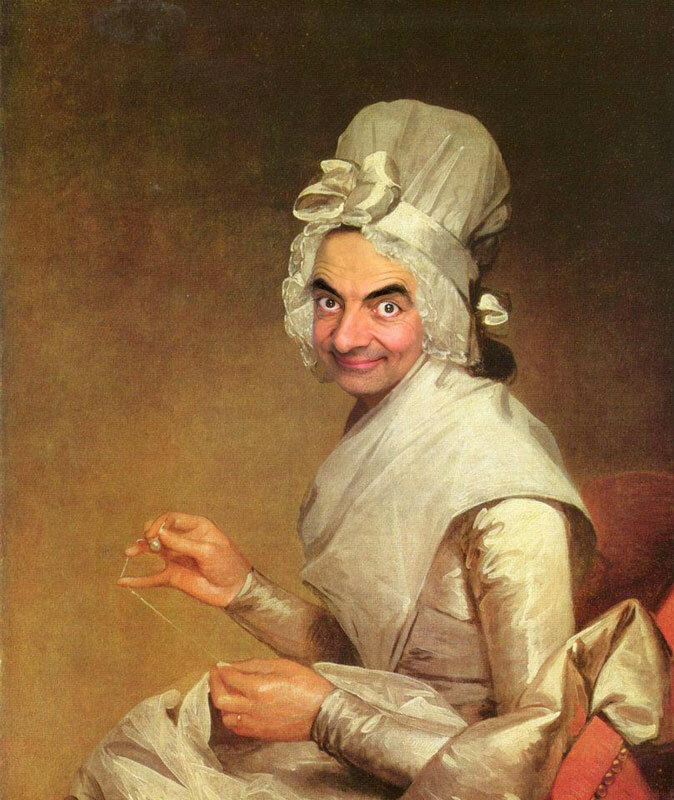 There’s nothing quite like seeing Mr Bean as a woman, holding a smaller version (supposedly a child) of Mr Bean. 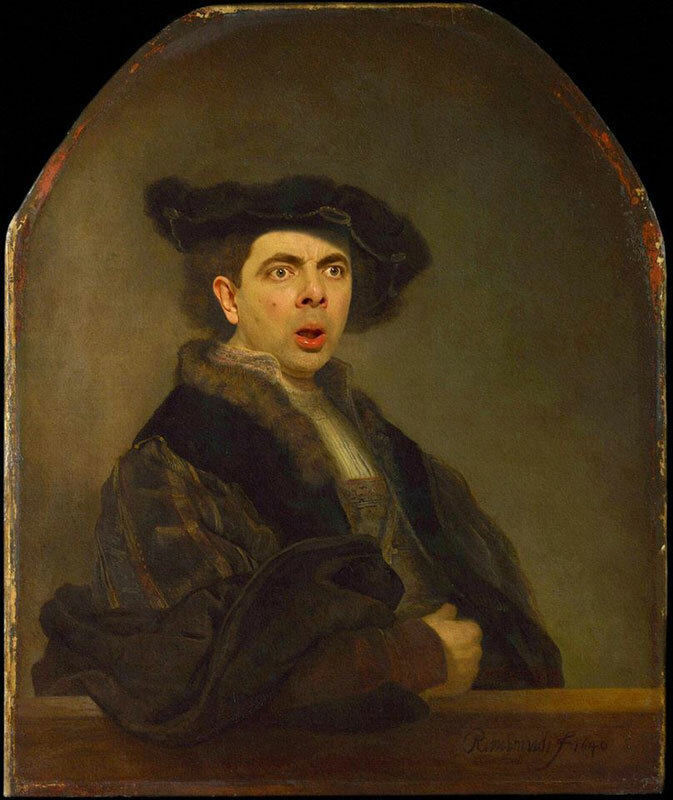 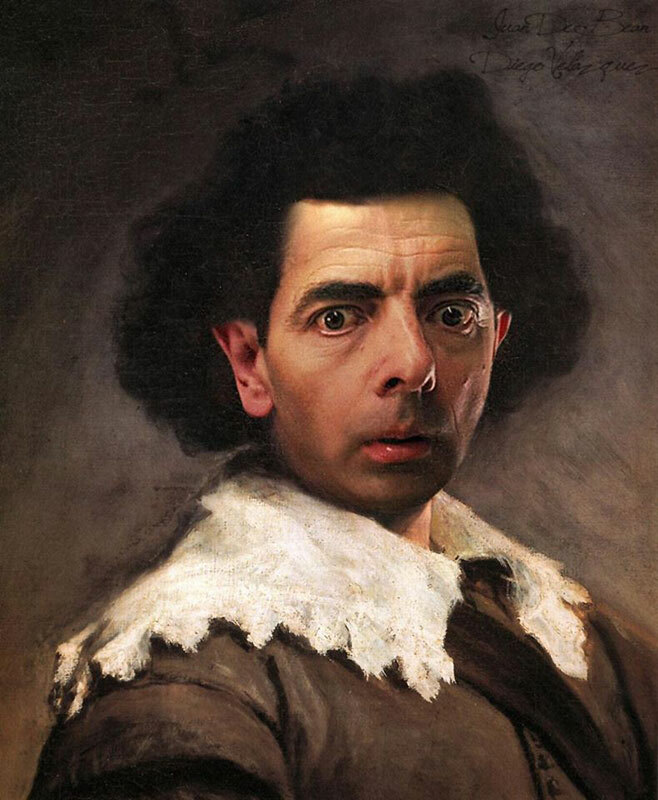 Looking either gormless or feckless, these reimagined paintings are nothing short of brilliant.